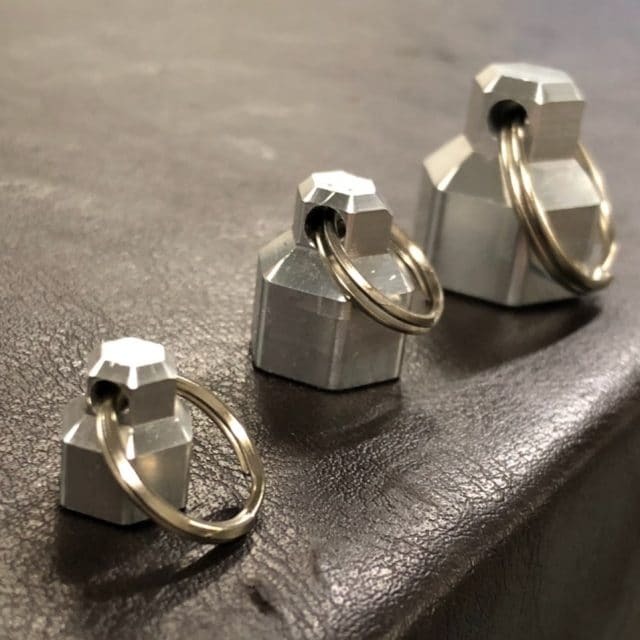 The Small and Medium MagNut set is a magnetic quick clasp specifically designed for the KeyBar but works on tools or other pesky items for which you need a quick mounting solution. 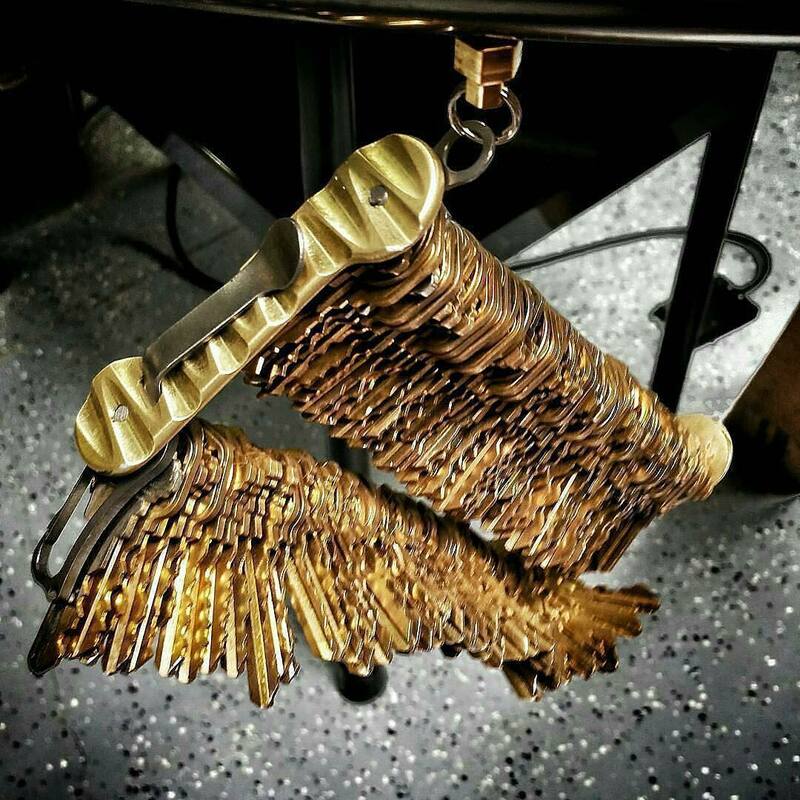 The Large MagNut set is not recommended for use with your KeyBar. A set includes two MagNuts (a right and a left MagNut) each with a 1/2″ diameter split ring. 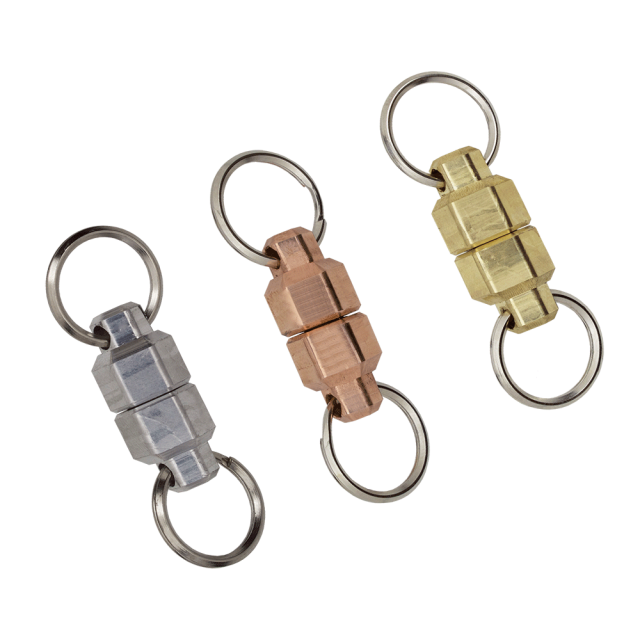 The Small and Medium MagNut set is a magnetic quick clasp specifically designed for the KeyBar but works on tools or other pesky items for which you need a quick mounting solution. The Large MagNut is not recommended for use with your KeyBar. A set includes two MagNuts (a right and a left MagNut) each with a 1/2″ diameter split ring. 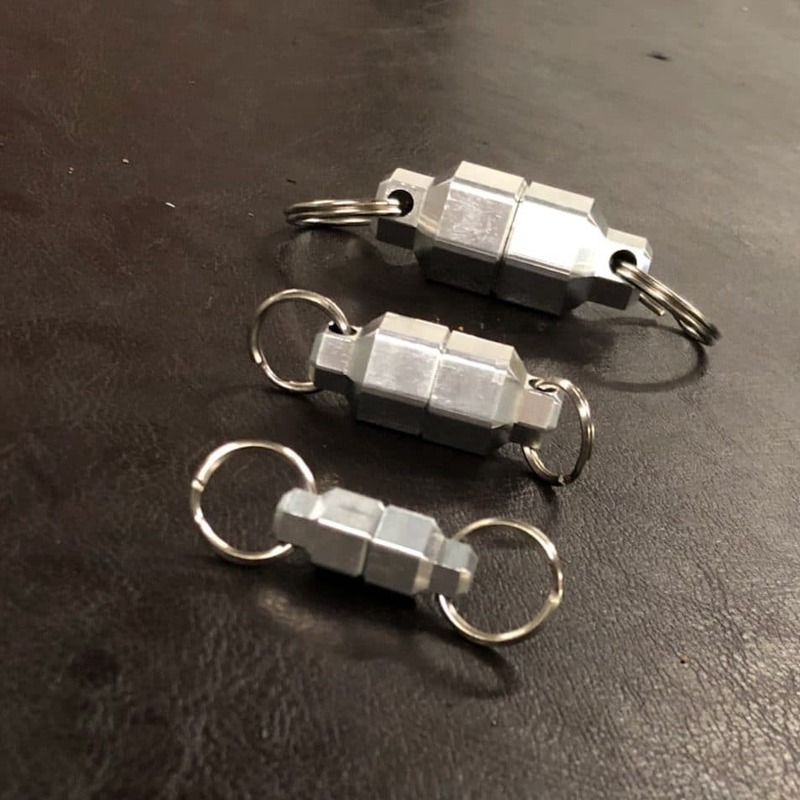 MagNuts come in a choice of small, medium or large aluminum, small brass or small copper MagNuts with pressed 1/4″ x 1/4″ rare-earth (Neodymium Iron Boron in Grade N52) magnetic cylinder insert, which has a pull force of 6 1/2 lbs. Medium aluminum MagNuts have a pull force of 18 lbs and large aluminum MagNuts have a pull force of 22 lbs. Note: These rare-earth magnets will lose their magnetic properties if heated above 175 degrees Fahrenheit (80 degrees Celcius). The strong magnetic fields of these rare-earth magnets can damage items such as television, computer monitors, credit cards, bank cards, computers, data carriers, video tapes, mechanical watches, hearing aids and loud speakers. Pace-makers may be damaged or switch to “Test-Mode” in the presence of a strong magnetic force, if a pace-maker or other bodily implant is in use, keep a minimum of 3 feet distance. Keep away from small children. Under no circumstances should you try to cut, saw or drill the rare earth magnet as the resulting dust is very flammable. You should also not burn the magnet as it will create toxic fumes. These things are crazy strong! 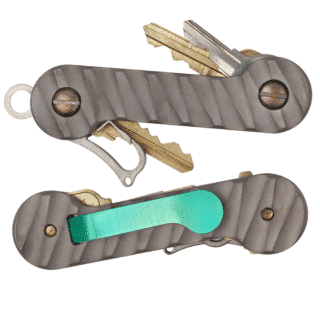 I use them with my keybar and love em I can leave my keys to my truck in it while I disconnect my keybar to unlock the bed! the magnut set is a game-changer, i love it. here i thought the keybar by itself was a must-have, but this, for me, makes it twice as good. as others have said, the magnets are super strong. 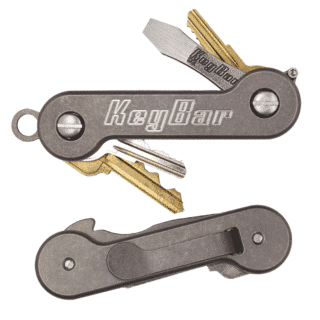 keybar didn’t cheap out here… neodymium magnets are the strongest permanent magnets you can get. These are awesome. Very handy. Next purchase will definitely be a keybar! Awsome magnet for my car key fob. 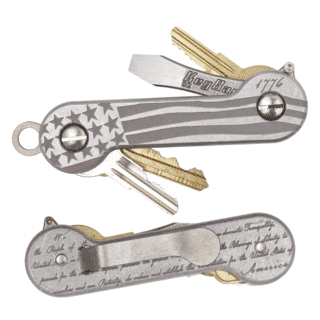 Allows me to give key fob to valet and I can keep my keybar with me. Love these! Will buy more. Really like the magnut. I’m going to buy a couple more for myself and give them as gifts. I thought the small was going to be to small but it is a perfect size for keys. Very Strong! I can tell this will last for years to come! Works great, awesome addition to my edc! Quality Made and Very Strong – Great Product – Would Recommend to Anyone !!! 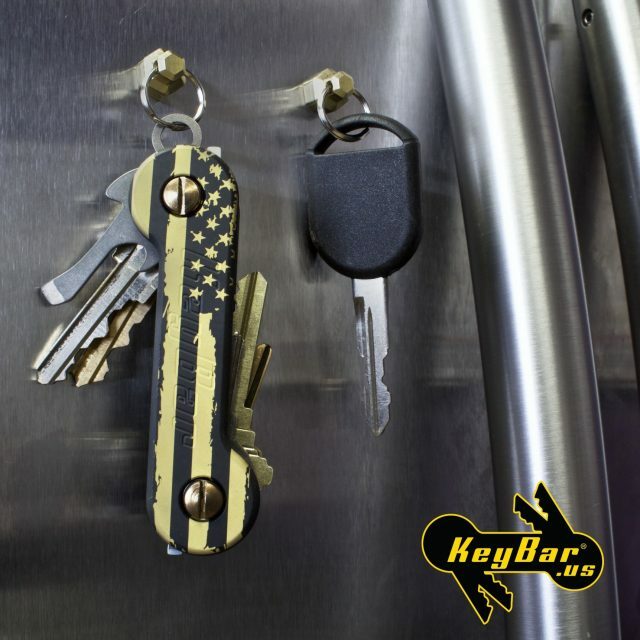 Keybar products are just awesome, I can’t say enough good things. Love your product. Love it. So many places to hang my key and Keybar. Works great for letting me switch between different car keys with my KeyBar. Only thing that is kinda irritating is the size is just small enough to flip over and stick to something inside the key ring supplied. I’ll probably look for a smaller key ring or eventually try the medium MagNut. I know it’s scary to think about your keybar being held by one of these little things, but my I have pretty much every tool they have to offer on my keybar, and yes it is heavy, but these have yet to let me down, very secure. And I have the smallest one. 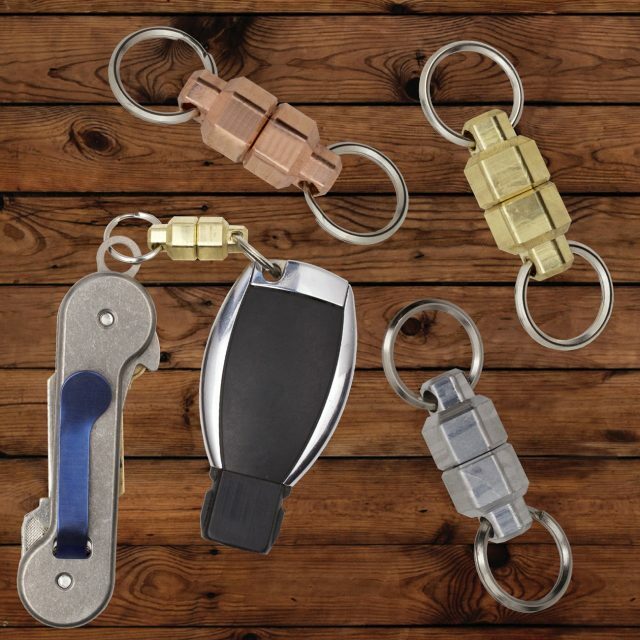 The best companion to your car keys! Even my friends are impressed by it! Bought the small size for my keys but do not be fooled by the size, the magnet is really strong! Super strong magnet awesome product!! I was surprised at how powerful these magnets are. 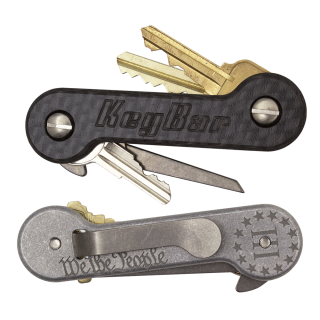 Very neat to use when handing off your truck keys or putting them back on your keybar. These are supercool. The small one is good for smaller secondary items, but the medium is strong as hell and I love it. 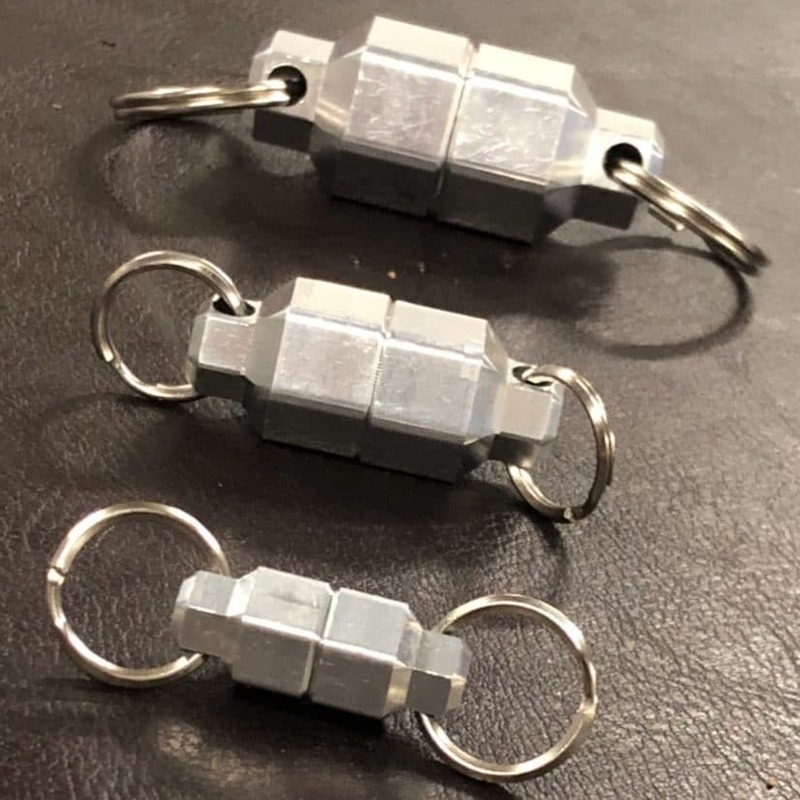 I am looking to get the large ones but I’m wondering if they’re too strong since it says they’re bot supposed to be used w the keybar? Best Nuts on the Market. Somewhere, someday, someone is going to save the world with one of these little magnets. Surprising strong for it’s size. Can’t wait to try out the medium MagNuts. 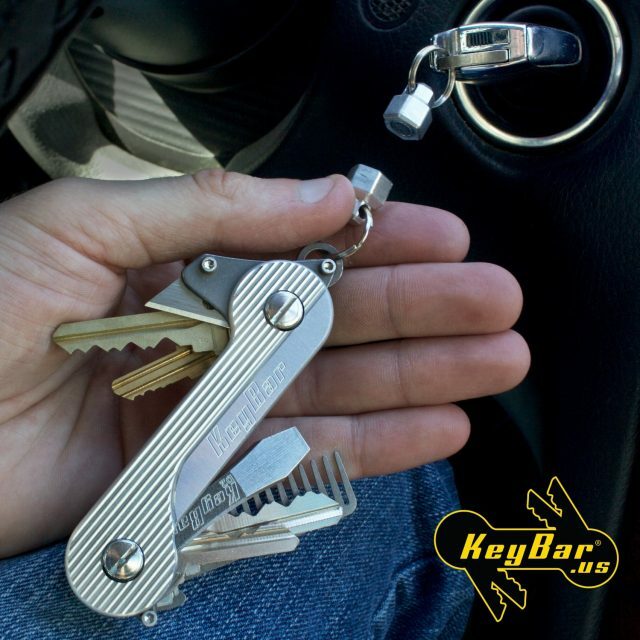 Definitely a must have for your keybar if you have a keyfob or even a pair of nail clippers. Very secure, strong magnet. Great for adding a key fob to the keybar. Good grip and keeps everything securely attached for quick access. These magnets are UNBELIEVABLY strong. I got the small one and its more than strong enough to hold my car key on the keybar. I really enjoy the MagNut for my keyfob. The only issue is that it gets stuck to the keys on the KeyBar and makes it a pain to flip the keys out or in. You have to separate the magnet from the keys and move it out of the way to push them back into place. I even put a smaller keyring on the MagNut to try and stop it from flipping inside itself but no luck. Maybe I’ll try to mount it rigid/fixed to the Titanium keyfob ring in a location that is out of the way always. I love the MagNut. 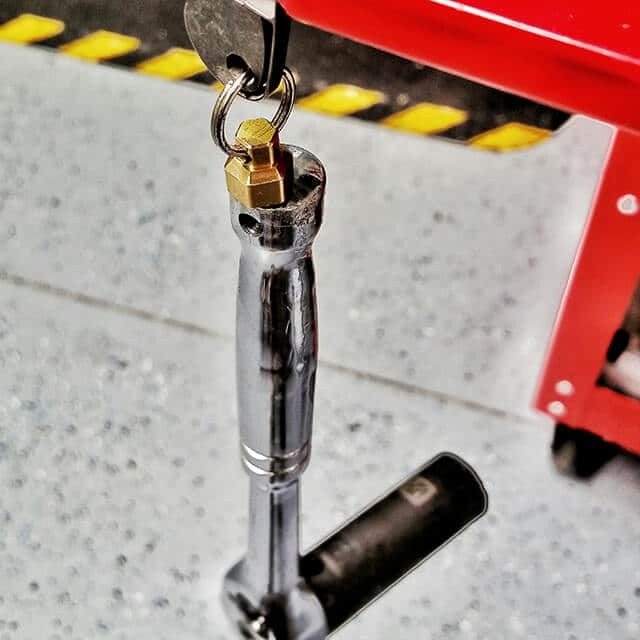 Magnet is very powerful and it’s a great way to save your ignition.